If you're in need for a stylish way to carry around those fountain pens and sharp pencils, this pencil pouch is the perfect solution! 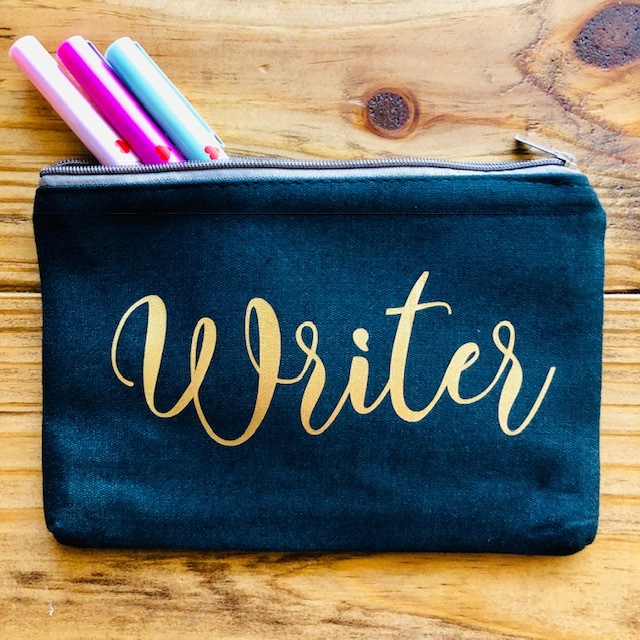 With its sheen gold lettering, this cloth pencil pouch is the perfect way to keep your writing utensils around you at all times. Dimensions are 6 3/4" Width x 4 3/4" Height.